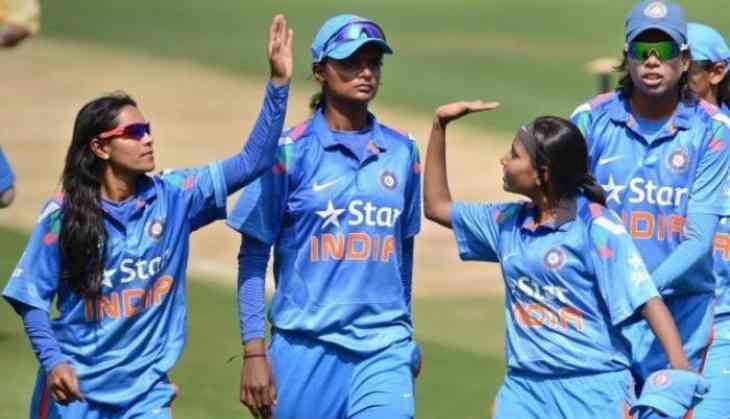 A strong tune-up notwithstanding, India will have their task cut out when they lock horns with title contenders England in the tournament- opener of the ICC Women's World Cup on 24 June. India have had an impressive build-up to the 50-over showpiece, beating South Africa by eights wickets in the final of the Quadrangular series recently. The 2005 runners-up might have directly qualified for the World Cup 2017 had they played their three games against Pakistan in the ICC Women's Championship and not forfeited the six points. Having finished fifth on the table with 19 points, India had to go through the qualifiers in Sri Lanka where they went undefeated and won a thrilling final against South Africa by one wicket. India will be playing the tournament under the experienced Mithali Raj, who recently became the third player to lead her team in 100 ODIs. Raj, whose first target is to make the semi-finals, is coming off a record-breaking six successive half centuries, and she would look to continue in same vein. The Quadrangular tournament also saw a record opening stand of 320 by Deepti Sharma and Poonam Raut against Ireland, the first partnership of more than 300 runs in women's cricket. While the Indian batting revolves around Raj, Deepti has also provided some good starts lately. Smriti Mandhana has returned from injury to add to the side's strengths, while Raut and Mona Meshram have been doing well on their comebacks. Harmanpreet Kaur will also be a strong presence. Considering the conditions in the UK, Raj is aware that her team would need to be on its toes. "The conditions there (South Africa) are completely different to what we are facing here in England. We can take a lot of confidence, but we need to start fresh again in the World Cup. "The girls, coming from Indian and South African tracks, are adapting to English conditions it will take a while, but the girls are getting used to it," the skipper had said. Jhulan Goswami, the highest wicket-taker in ODI history, will lead the Indian bowling attack. The team would hope that Goswami finds enough support from Shikha Pandey with the new ball, while Ekta Bisht will lead the spin department. As far as their recent form is concerned, India comprehensively won their last four ODI series, first whitewashing Sri Lanka and the West Indies at home and then beating South Africa in the finals of qualifier as well as the quadrangular series. During this period, they won 16 out of the 17 games played. Two-time champions England will be one of the most difficult challenges for India. That England have won the title both times they have hosted the World Cup, should work in their favour. While the seasoned Sarah Taylor has returned after an extended break from the game, England have quite a few other players such as in-form captain Heather Knight, Katherine Brunt -- one of the most dangerous pacers at the moment -- and Nat Sciver who can make a difference. In the other match of the day, New Zealand face Sri Lanka in Bristol. England: Heather Knight (capt), Georgia Elwiss, Jenny Gunn, Alex Hartley, Sarah Taylor, Tammy Beaumont, Katherine Brunt, Danielle Hazell, Beth Langston, Laura Marsh, Anya Shrubsole, Natalie Sciver, Fran Wilson, Danielle Wyatt, Lauren Winfield.